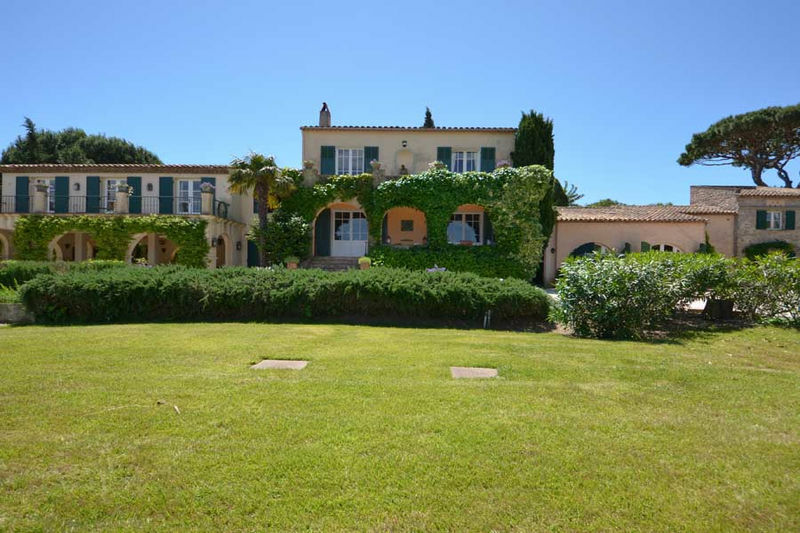 Sumptuous villa, only recently built (°2012), designed in a warm contemporary style, located in a dominant position in this prestigious and secure domaine: Les Parcs de Saint Tropez. The villa has been developed with luxurious materials, all over the 500 m² of living space, in the midst of a beautiful garden of 5000m², with exotic and Mediterranean trees, plants and flowers parties. This beautiful garden surrounds the grey-tinted heated pool. Several wooden terraces and small walls, in old stone, with seating areas integrated, complete the outdoor relaxing areas. 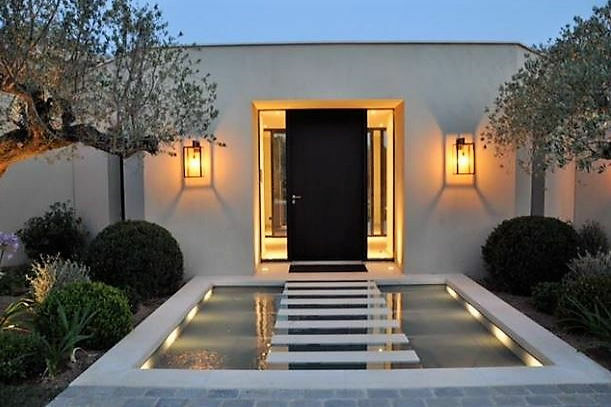 One enters the villa through a water-patio, and comes into a large entry hall with guest toilets. Grand lounge, with open fire, with direct access to the several terraces. 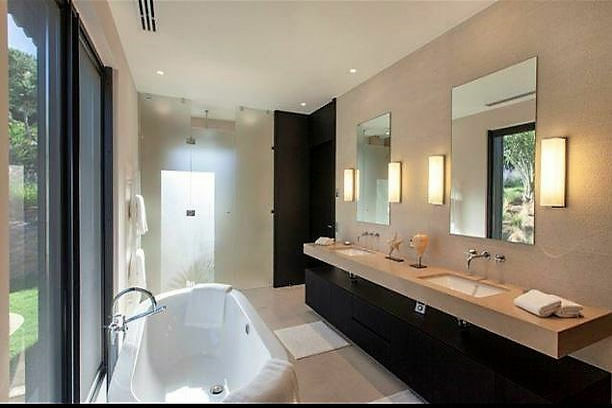 Master bedroom with dressing and full bathroom. Large, fully equipped kitchen and side-kitchen Dining room. Guest bedroom with bathroom, access to the terrace. On the lower floor, one finds another 4 bedrooms, all comfortably organised, each with an ensuite bathroom. Large garage and linen room; Parking area for 10 cars. 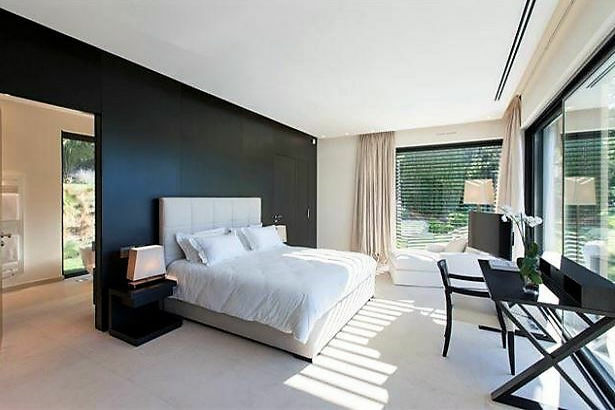 Exceptional property in one of the most prestigious private residential parcs.